If you missed out on grabbing the StarKade: Masters Series before they sold out, we have a second chance for you. The crack team over at Nerdlocker are holding their first annual Super Happy Terrific Mega Black Friday Giveaway, and one of the prizes to be won is my very last Masters Series pack. This collection includes the 4 character prints as seen above, all of which have an edition of 30 and are measured at 5″ x 5″. The StarKade Series is printed on Museo Textured Rag 285 gsm by the fine folks at Static Medium, LA. All hand-signed and numbered. Incidentally, the pack you can win is set 29/30. I won’t get into the details of the giveaway here, but you can head over to the Nerdlocker post for the full scoop. While you’re at it, check out the other killer prizes they have up for grabs by a slew of talented folk. Several of which are my friends and colleagues. 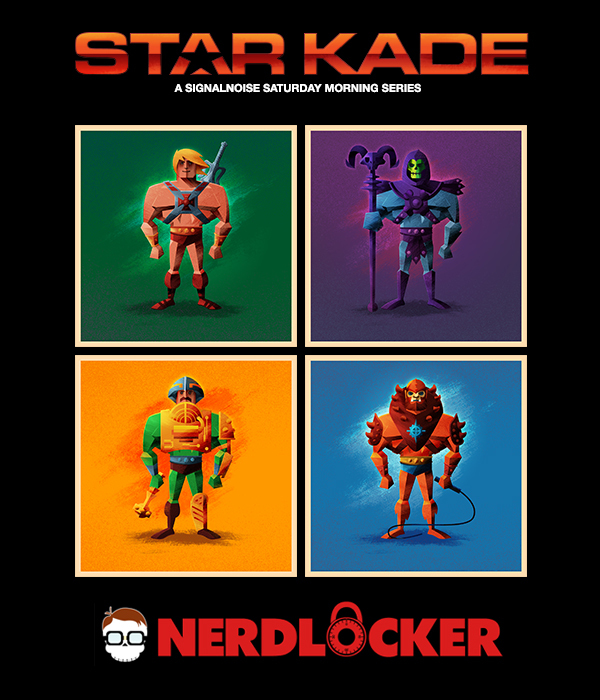 Tune into Nerdlocker on Facebook and Twitter all day Friday to catch the fun.